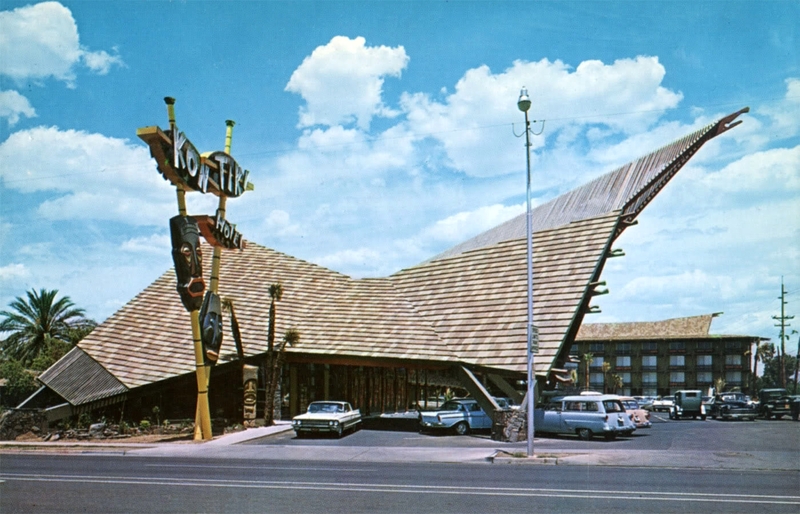 Although in Phoenix, Arizona: a bit outside Polynesia. Kon-Tiki was the raft used by Norwegian explorer and writer Thor Heyerdahl in his 1947 expedition across the Pacific Ocean from South America to the Polynesian islands. It was named after the Inca sun god, Viracocha, for whom "Kon-Tiki" was said to be an old name. 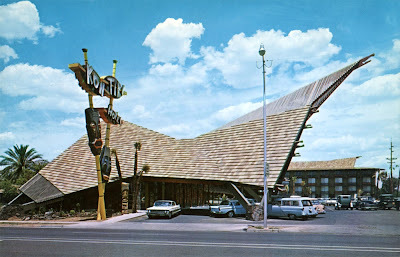 KON TIKI HOTEL - 24th Street & Van Buren, Phoenix, Arizona - Fabulous Polynesian atmosphere in the midst of Phoenix. Only minutes to all business and points of interest. One "short mile" from Phoenix Sky Harbor Airport. - Come to Kon Tiki and take away a life long memory.